"There's a secret to mastery that you may have never heard, a single little thing that only the very best in the world know how to do. In fact, I believe it is the only thing anyone can do to gain true mastery at anything, and it's an equal opportunity principle. It can be applied to fulfill your potential in business, in sports, in your relationships, as well as your overall life. Do you want to know what it is?" 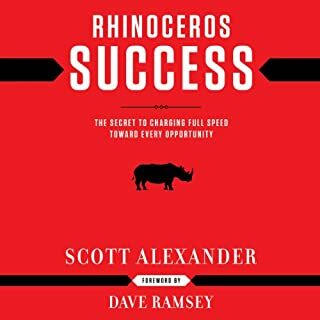 Author Scott Alexander wants you to wake up tomorrow morning as a full-grown, 6,000-pound rhinoceros! Rhinos have purpose. Rhinos have dreams. And rhinos put everything they've got into everything they do. If you have ever thought I can do better, if you have ever felt the stirrings of rhino blood in your veins and your heart quicken at the scent of success, then you are ready. Listen to Rhinoceros Success and get charging! 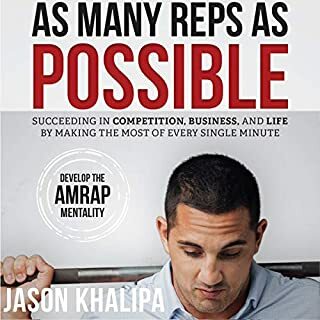 In his first audiobook, As Many Reps as Possible (AMRAP), Jason reveals the invaluable principles that helped him and his wife dedicate every minute of their lives to Ava's battle against leukemia. 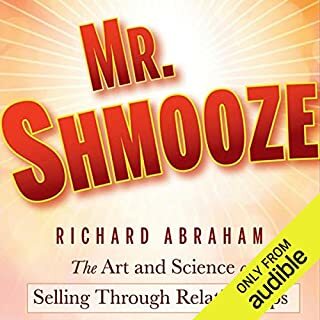 Mr. Shmooze is the parable of a man who reveals the secret shared by all superstar salespeople. Selling, in its most exquisite form, is not about taking, nor is it about persuading. Selling, believe it or not, is about giving. Mr. Shmooze gives for a living. He starts by listening and he quickly comes to understand what people really need. His customers love him because he gives more than he takes. They trust him because he is passionate about their interests. Training Camp is an inspirational story filled with invaluable lessons and insights on bringing out the best in yourself and your team. The story follows Martin, an un-drafted rookie trying to make it in the NFL. He's spent his entire life proving to the critics that a small guy with a big heart can succeed against all odds. After spraining his ankle in the pre-season, Martin thinks his dream is lost - but then he meets a very special coach who shares 11 life-changing lessons that keep his dream alive. 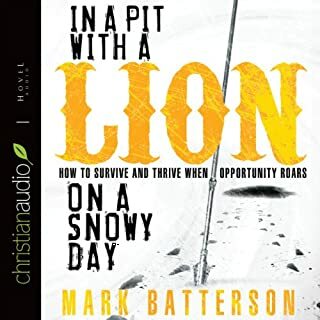 An audiobook about teams to help teams become more positive, united, and connected. Several years ago, Sam Walker set out to answer one of the most hotly debated questions in sports: What are the greatest teams of all time? He devised a formula, then applied it to thousands of teams from leagues all over the world, from the NBA to the English Premier League to Olympic field hockey. When he was done, he had a list of the 16 most dominant teams in history. At that point he became obsessed with another, more complicated question: What did these freak teams have in common? This powerful story brings the train-to-be-clutch curriculum to life in a powerful and memorable way. No matter how it feels, you are always building your own house. How and why you must surrender the outcome in order to be at your best. Why you never want to have your identity wrapped up in what you do. Why your strength lies in faithfulness to the little things. How to develop a heart posture of gratitude. How to use the biggest challenges as a training ground for greatness. Why the process is more important than the goal. Why comparison is the thief of all joy. Why talent is more of a curse than a blessing. The book is certainly not a waste of time but I started to find it very annoying as each chapter passed. It came across as way too simplistic and not very realistic considering the context. The underlying messages and stories told in each chapter certainly can help bring balance to someone in a crazy world. I just wish it didn't make me feel like I was dealing with a spoiled adolescent in John. Similar to my reaction to previous chapters, simplistic. 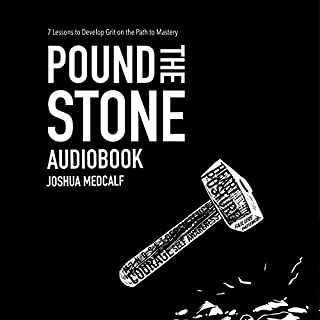 Have you listened to any of Joshua Medcalf’s other performances before? How does this one compare? No and not sure that I would based on this one. Great potential with some moments but message gets lost. Maybe depending on the liberties taken by the producer. Potential is there but this was a lost opportunity. Overly simplistic... perhaps meant for teens? All of the content seems okay, but it is nothing original. It is every basic self help concept boiled down and told in a cheesy anecdotal story line with modern details. The Japanese sensei is a bit cliche and doesn't come across as a believable story at all. Gave it three stars only bc the intent is good and it may be a good starting point for some young people. Very powerful story. This should be required reading for all High School students. I cannot wait to get the other books. So a quick caveat, I have been reading business and motivational books for over 20 years. What I’m finding is that a lot of the principles are the same in every book. But I also recognize that certain people will connect with certain speakers. So if you’re new to business books or want to get motivated on how to be great and you’ve never read any books on the subject, but then this book will be amazing for you. I thought that the story started out great but I felt like the false parable of this guy going to work with a samurai and then watching the NBA finals with him was a little cheesy so I’m glad I didn’t spend a lot of money on this audiobook and I’m going to wait for the paperback to be on special because for over $20 that’s just way too much for something you could read on a blog post. 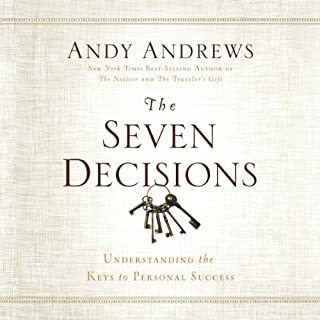 a quick read that is full of great lessons on discipline, focus, and understanding yourself. 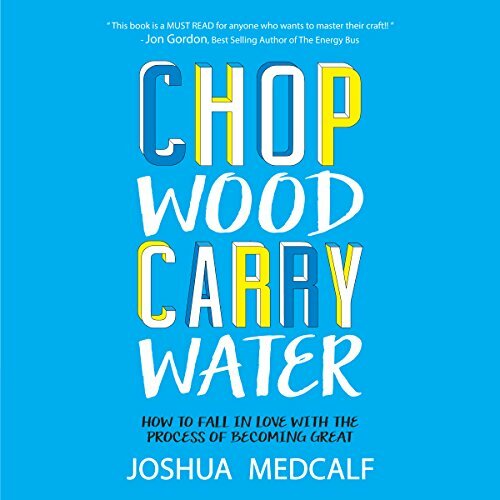 This book communicates all of the common self improvement themes that are common across this genre through a ridiculous story of an American who faces tragedy and moves to Japan to become a samurai archer (evidently a 10 year process- but there’s a point to the time). His sensei is an overly worldly Gentleman with a Jesus-like wisdom and parable teaching style. A quick refresher on focus and the small things is that’s what you need. This book will set you on a trajectory to realizing your greatest potential. I loved it! Probably a better reader than listen. Kind of a weird story that I’m not sure it could happen but, maybe someone would do that stuff. Either way, this one was read/spoken by the author and so brutal I couldn’t even finish it. After listening to other books with professionals who do a good job at using inflection, it was like watching a movie with bad actors. I think it would be ok to read, maybe. I enjoyed this book so much that that I played it again one chapter at a time with my eight-year-old son. The stories are fantastic and one day the life lessons will mean even more to him. A great tool for shaping young minds. What a challenging book full of wisdom. The way Joshua pulls all of the lessons together is truly an art. This book has instantly jumped to the top 5 on my list. As a soccer coach, it has really challenged me to look at how I’m training my players and team and helped me think through how to make our team great. I would highly recommend this book to anyone looking to challenge themselves in their life. Loved this book. Short and to the point. Without a doubt one of my all time favorites. So much so I've gifted it to at least twenty friends and clients already.